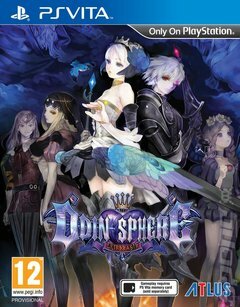 Odin Sphere Leifthrasir is a 2D sidescrolling action RPG, steeped in Norse mythology or a Wagnerian opera. The new game is a complete HD remake of the original PS2 classic Odin Sphere from Vanillaware, the team behind the hit side-scrolling action game Dragons Crown and Muramasa: The Demon Blade. Atlus U.S.A. will be publishing this game in North America.